Dangal was one of the most awaited bollywood films of the year, I saw the trailer and thought it was quiet good. After all it is an Aamir Khan starer film. He is a person who has picking films very carefully, and the result is always good. With exception of Dhoom 3 I guess. Dangal is a much better film then Sultan, I can easily say that, but does that alone make this film great? First of all storyline, Former wrestler Mahavir Singh Phogat (Aamir Khan) trains young daughters Geeta (Fatima Sana Shaikh) and Babita (Sanya Malhotra) to follow in his footsteps and become world-class grapplers. Storyline was really interesting, and it was not similar to Sultan as many were creating hype around it. This film is really well directed, director Nitesh Tiwari, this is by far his best directed film. It seems to drag at moment, as it is nearly 3 hour long film. But, overall Tiwari managed to hook up it's audience the whole time. It is very well written as well, there are some great dialogues in there. But at times it was like make the characters of the film heroic after all it is a commercial bollywood film. Performances: Aamir Khan, he is the person on which this film relies on. He probably gives his best performance till date. Such a brilliant performance, he really was dedicated to his role. Words would be less to describe him, and I could go on and share my views on whose the best "Khan", I would say he is the best out of the lot in Khans after Irrfan Khan. Fatima Sana Shaikh is great as a first-timmer. Rest of the cast, even the kids acted really well. 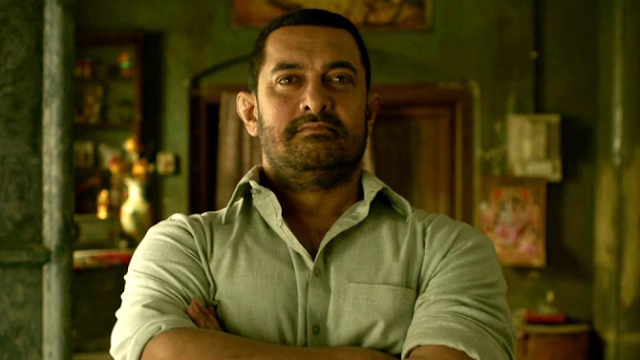 There is no doubt, One of Dangal's strength lies in the acting. I enjoyed this film very much. It is one of the best biopics of bollywood. Sport genre is shown a lot better then other two that came this year MS: Dhoni & Sultan but would be a tough competition between this and Saala Khadoos. Aamir Khan is the man, he proves himself and remains the best commercial cinema actor of bollywood. This film is great, and probably my favourite of the year (only bollywood) after Raman Raghav 2.0 and Aligarh. 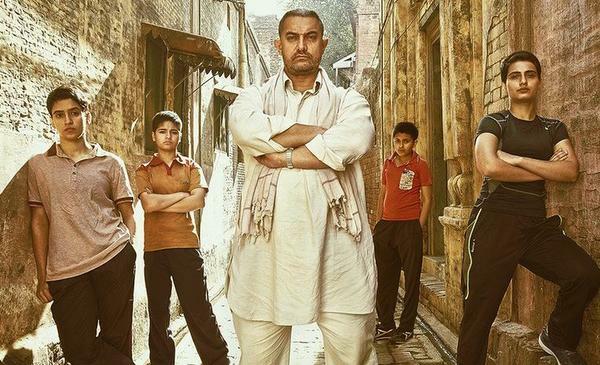 Overall, Dangal is simple, brilliant, and a powerful film. It is a film that you definetly should not miss. It was worth the wait, but I would not say it is a masterpiece for now. But it's definetly up there with some of the great bollywood films of this year. My only problem lies with the film is, it's dramatic elements at moments, they felt like melo-drama, but other then that, it is complete blast. So, I highly suggest Dangal. Be sure to check it out.